Irish Coffee - Ringed 8 1/2 oz. Featuring a regal shape, this 8 1/2 oz. Irish coffee mug is perfect for offering up your signature cappuccinos, mulled ciders, hot chocolates, and more! 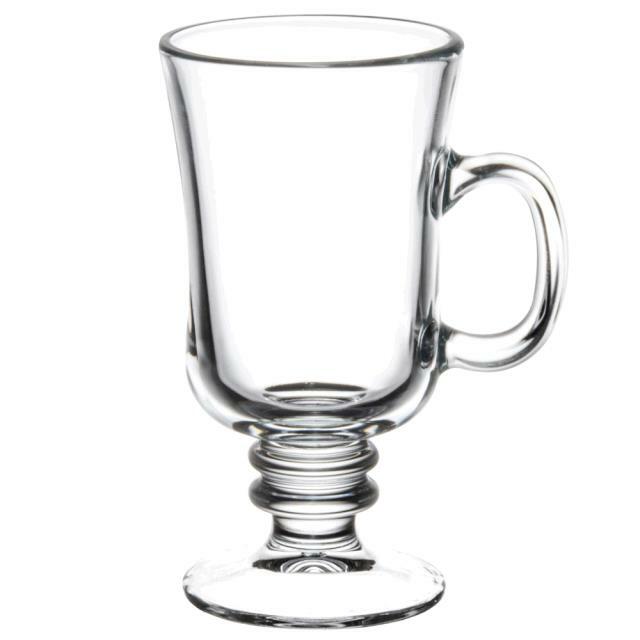 With its ornate stem and petite handle, this glass mug is certain to please. Plus, it features a flared mouth for an elegant look and easy sipping. Top Diameter = 2 3/4"
Bottom Diameter = 2 3/4"
Maximum Capacity = 8 1/2 oz. * Please call us for any questions on our irish coffee ringed 8 1/2 oz. rentals serving Corvallis OR, Albany OR, Salem OR and surrounding areas.